Like most towns in Whitman County, Farmington was once a prosperous and rapidly expanding community during the early twentieth century. An abundance of nearby timber and a close water source was what first attracted settlers to the area in the 1870s. George Briggs and Hiram Youngs were the first to homestead the area, but it was Minnesota native George Truax who in 1878 gave his homestead over to be platted into a town. Named after Truax's hometown of Farmington, Minnesota, the town in Washington was officially incorporated in 1888. In the beginning, cattle-ranching was the main focus of Farmington's economy, which was the norm for most young, emerging frontier towns. In the early 1890s however, settlers began to plant sugar beets to supplement their livestock-based economy. This quickly progressed into the planting of fruit orchards and by the late 1890s ranching was all but abandoned. The fruit orchards had proved to be an unsuccessful venture due to early frosts and cold winters, which left residents looking for a dependable, long-term agro-economic foundation. 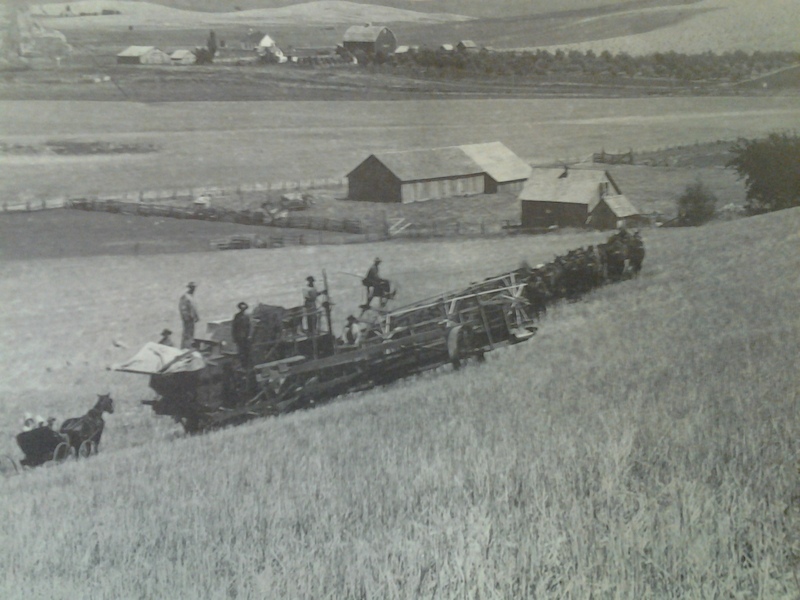 Like nearly all Palouse-area towns in the early 1900s, Farmington residents looked to dry-farming techniques to harvest grain in the region's fertile loess soil, but unlike most Palouse towns, Farmington also maintained an economic base in legume harvesting as well. Wheat and lentils both became staple crops, the success of which was made possible by the construction of the Spokane-Palouse Rail Line. The community of Farmington soon began to thrive as a result of both their new form of agriculture and the railroad depot. 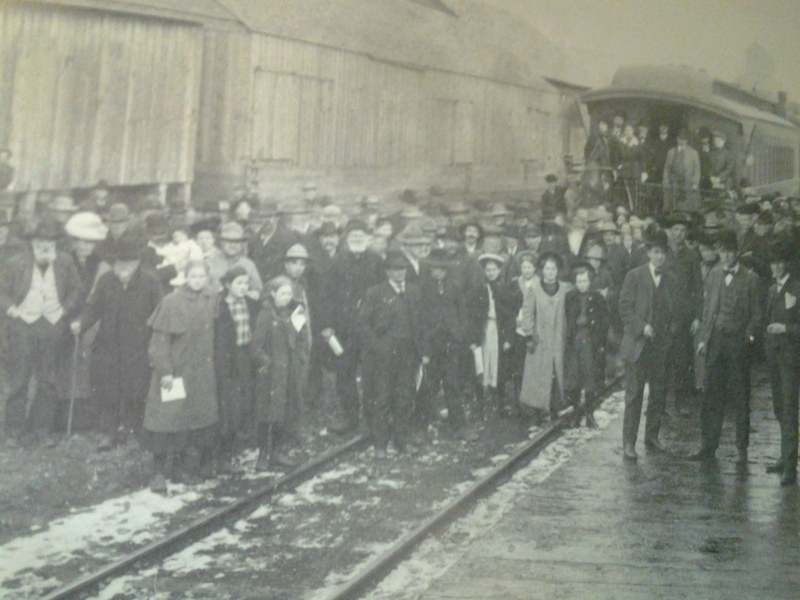 The depot not only helped farmers ship their crops, but it also helped to expand the town's the rather small population. The depot also helped to bring exciting visitors to the little town. In 1908, Teddy Roosevelt arrived at the depot on a cross-country tour where he stopped by many little towns on his way to speak in the larger urban areas such as Spokane and Seattle. Farmington has been a town of boom and bust. The agricultural economy and the construction of the railroad depot brought the "boom", but the Great Depression of the 1930s brought the "bust". Farmington was not alone as many communities (almost all of them) suffered tremendously in the aftermath of the stock market crash of 1929. Right before the crash, the population of Farmington was nearly 500 residents, and looked to be on a steady increase, but by 1940 the population was down to 341. In 1970 the population was 140 and has maintained around the same number ever since. In 2010 the population of Farmington was 146. Archie Camp explains the pioneer's attempts at farming in the Palouse region and how difficult it was in the early years. 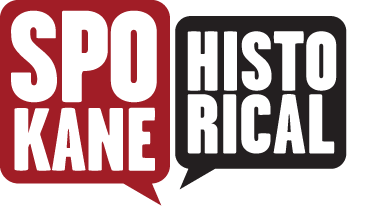 Audio courtesy of Washington State Digital Archives, "Spokane Voices of the Pioneers, 1961." Archie Camp. 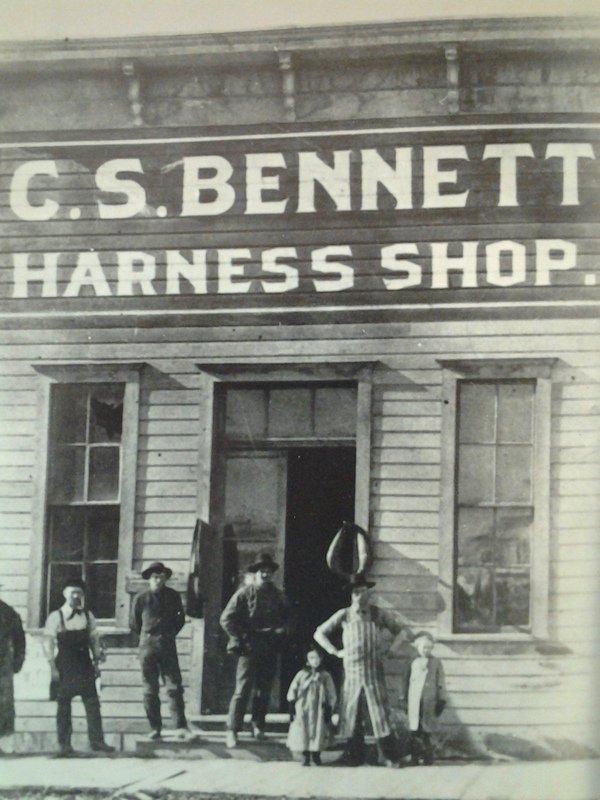 Bennett's Harness Shop,1895: Image courtesy of Tornado Creek Publications. 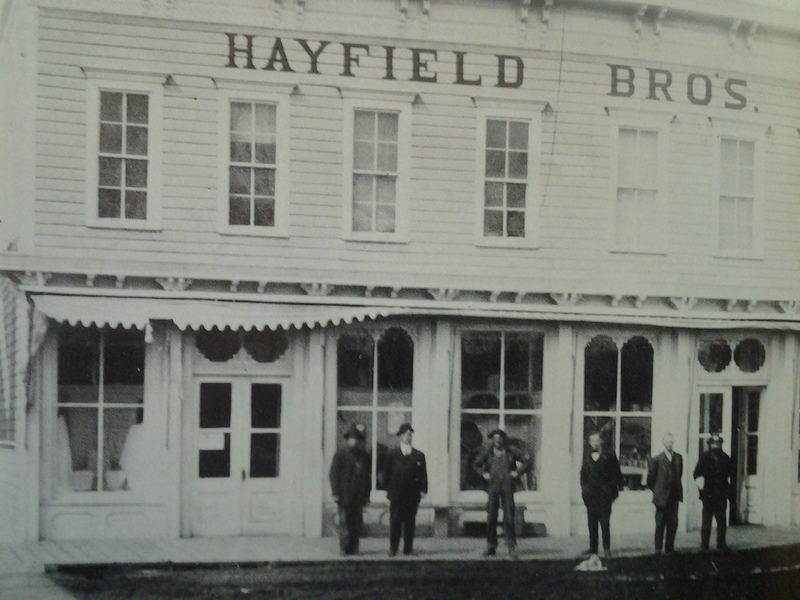 Hayfield Bros. Store,1910: Image courtesy of Tornado Creek Publications. 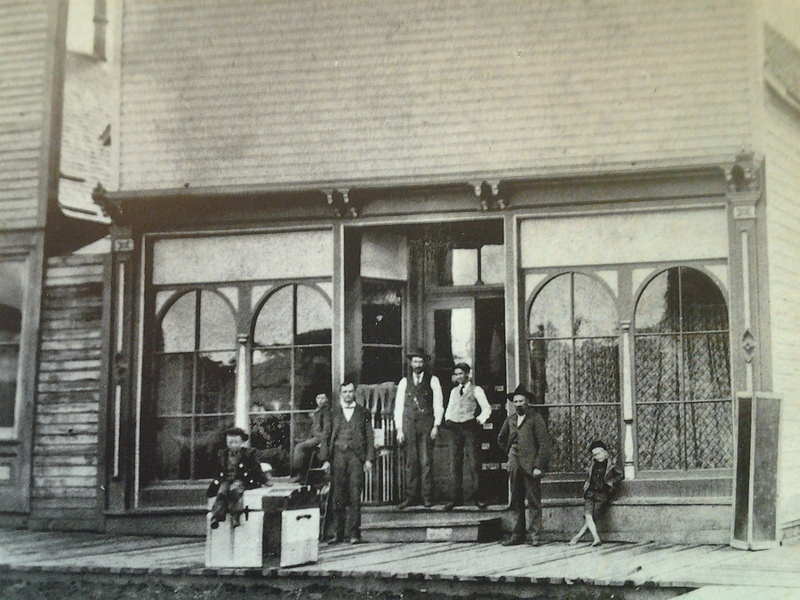 Whitman Hotel,1895: Image courtesy of Tornado Creek Publications. 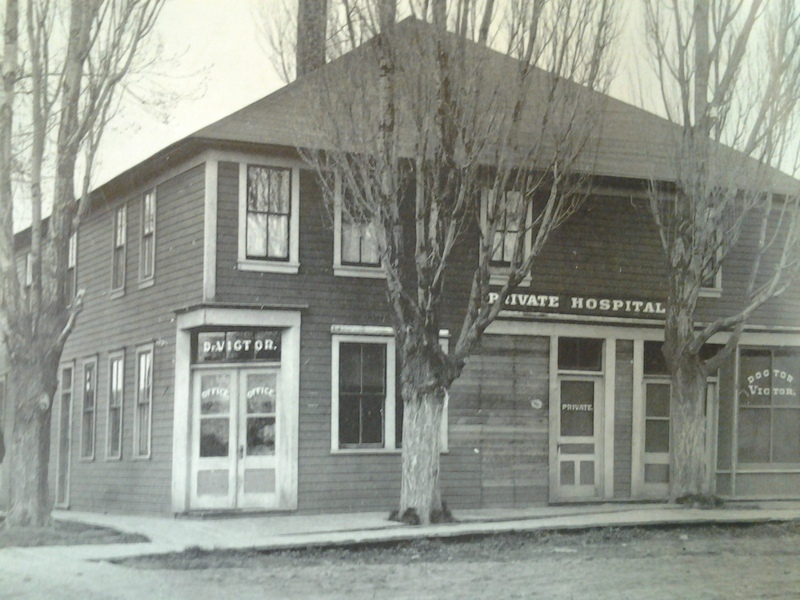 Farmington General Store,1898: Image courtesy of Tornado Creek Publications. Farmington Awaits Teddy Roosevelt,1908: Image courtesy of Tornado Creek Publications. 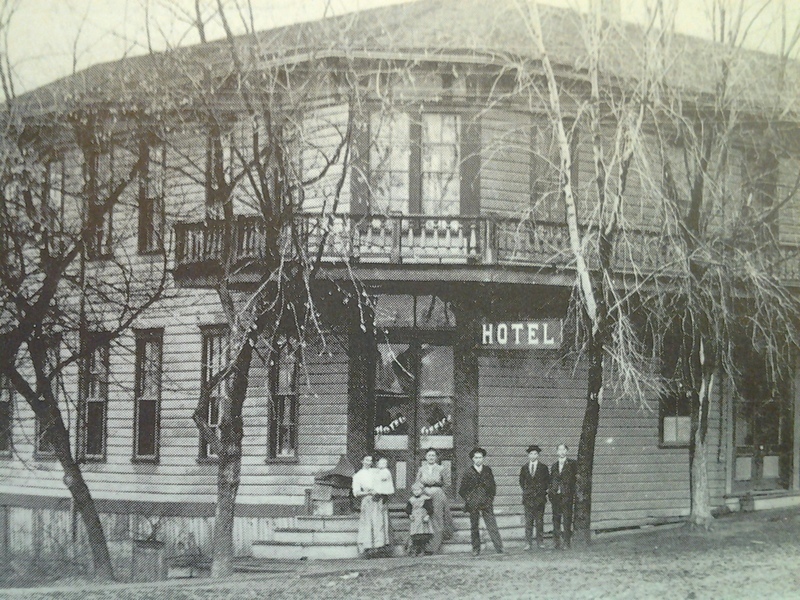 Private Hospital,1910: The Whitman Hotel became a private hospital and doctor's office in 1910. Image courtesy of Tornado Creek Publications. Threshing Machine,1892: Tom Torpey was one of the first farmers in the area to purchase one of these threshing machines in the late 19th century. These machines made it possible for many small farms to expand into huge operations,such as the Torpey outfit. This machine was steam-powered and still requied teams of horses and laborers. Image courtesy of Tornado Creek Publications. Threshing Wheat in Seltice,1899: The Thompson outfit used this threshing machine to harvest hundreds of acres of wheat on his Seltice farm. 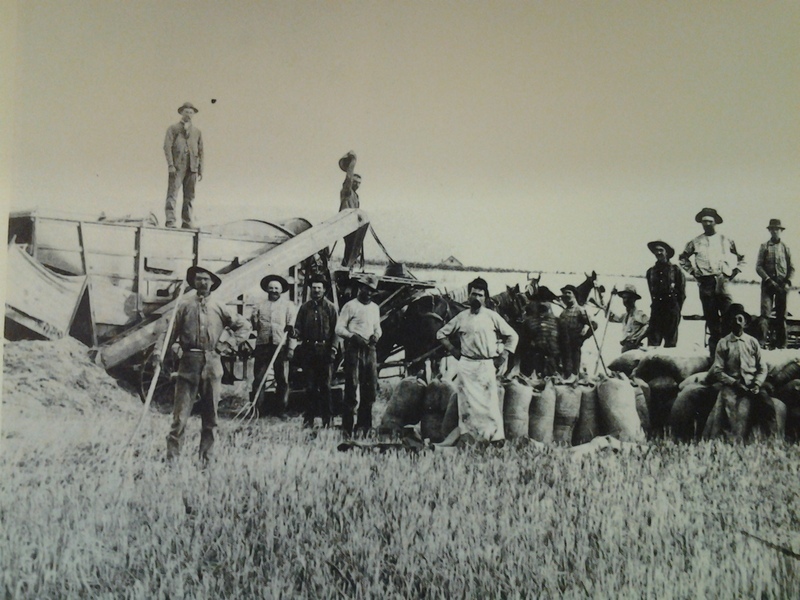 This particular thresher made it possible for Thompson to become one of the wealthier farmers in the Farmington-Seltice area during the turn-of-the-century. Image courtesy of Tornado Creek Publications. Robert M. Lambeth, “Farmington,WA,” Spokane Historical, accessed April 20, 2019, https://spokanehistorical.org/items/show/380. 1. Farmington Remembered: History of a Small Palouse Town. Marshall Belshaw Shore. Spokane,WA: Tornado Creek Publications,2004. 2. Farmington: A Pictorial History. Complied by Laurence A. Wright. July,1988. 3. U.S. Census Bureau Statistics,1890,1930,1940,1970,2010.